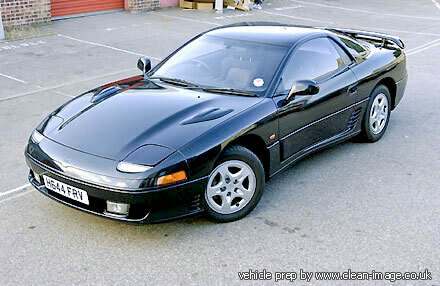 Valet testimonials - Mitsubishi GTO and vandalism with varnish! "The service that I had was to have wheels repaired, this was carried out to high standard and finish was excellent and worth the money. I have since booked my car in to have a Bronze Valet carried out soon and I am looking forward to the result. " "We were very impressed with the valeting/service, would not hesitate to recommend your services for future valeting. " "Clean Image dealt with our spillage of milk with their usual courtesy and good service "
"Very helpful, pleasant and efficient. "Good service - can't fault it. " Note - Paul is a Tyresmoker! "My car was brought to you by my son as a surprise for me and I was absolutely delighted. "I recently had my car valeted at Clean Image and I wanted to go on record to say how delighted I am with the results. My car is fifteen years old and although it has always been cared for there were a couple of things that I inherited from the previous owner that I was unhappy with. Firstly it had been parked too close to a hedge and over time the front valance of the car had become lightly scratched across the leading edge. I decided to take it to a friend to have it resprayed and was surprised to learn that the damage could be more reasonably dealt with by a professional valeter. The wax treatment to the body shell has transformed the car's appearance and the scratches to the nose are no longer apparent. Secondly, I am a non-smoker and therefore had been more than a little upset by the discolouration of the head liner in the car due to smoking. I'm glad to say that when I got the car back the interior had been thoroughly cleaned and returned to it's original colour. I was delighted by the results of the work at Clean Image - it has saved me the time, expense, and inconvenience of taking the car to a body shop and I feel comfortable with the clean interior. I would certainly go back to them in the future even if it meant I had to travel further than at present - I work in the motorcycle showroom next door!" In 2005, the customer who traveled the furthest to visit us came from the shores of Loch Ness. Shame there isn't a prize for the customer who traveled the shortest distance. "The service was first class - which was a refreshing change as you come to expect bad service in this country which is unfortunately the normal course of events. Would not hesitate hesitate to use Clean Image again and recommend to family and friends.